Admit it! You and I, we could not tell a dragon boat from a baboon’s hairy arse just a month ago. It was only when Dyan Castillejo started her nightly and almost ritualistic coverage on TV Patrol about the travails and tribulations of paddling through the black-as-sin waters of the Manila Bay in preparation for world championships that few of us even knew existed that we all sat up and took notice. Some of Castillejo’s stories were cliché-ic at least within the Filipino context, making us all initially stifle yawns because we had seen it all before. Things like the team wanting to participate in the world championship but could not buy the tickets for Tampa bay because its federation had no money and received no support from government. Or, members of the team using old worn-out oars to paddle through the bay’s putrid waters… Then there was this story about the very same diving for mussels if there was nothing for lunch because the Dragon Boat Federation just could not provide it. Never mind that some of us wondered what could be so bad about fresh mussels when not-so-fresh ones cost 50 pesos a kilo on a supermarket’s tiled counter. Castillejo was succeeding, nonetheless, despite the all-too-familiar context of her stories; and, almost predictably, the Filipino penchant for supporting the underdog just kicked in as a matter of course. So, out to Tampa Bay the team flew, to win medal after medal after medal. 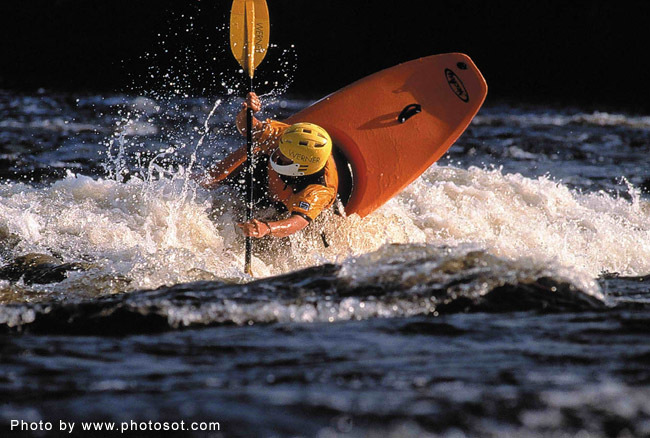 Five golds were won, as everyone knows; and another two silvers – all to nationwide euphoria. My word, even jaded congressmen pledged personal donations so that the dragon boat team might be well and truly rewarded upon their return to the homeland. Being Filipinos – and how we all oh-so-love a controversy – the team arrived back at the NAIA not only to much fanfare but also to much debate about the team’s status in Philippine Sports. 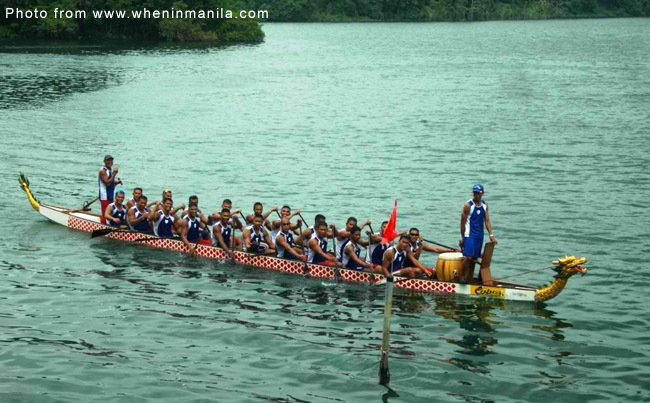 Is the dragon boat team a national team or not? Should it be given government funding or not? Should the Philippine Dragon Boat Federation (PDBF) be placed under the Canoe/Kayak Federation or not? Standing back from the big to-do – and this is just my humble opinion – if a team is sent by an internationally recognized federation – such as the PDBF – to a competition recognized by an umbrella international federation, then it is a national team whatever the Philippine Olympic Committee or POC says. What it is not is a national team recognized by the POC. This is tricky because it is that very recognition that will qualify the PDBF for the governmental support from the Philippine Sports Commission (PSC) that it does not at present enjoy. In fairness to the POC – ditto the PSC – it is simply playing by the rules. It is, after all, answerable to the International Olympic Committee (IOC); the PSC, on the other hand, is answerable to the Commission on Audit. 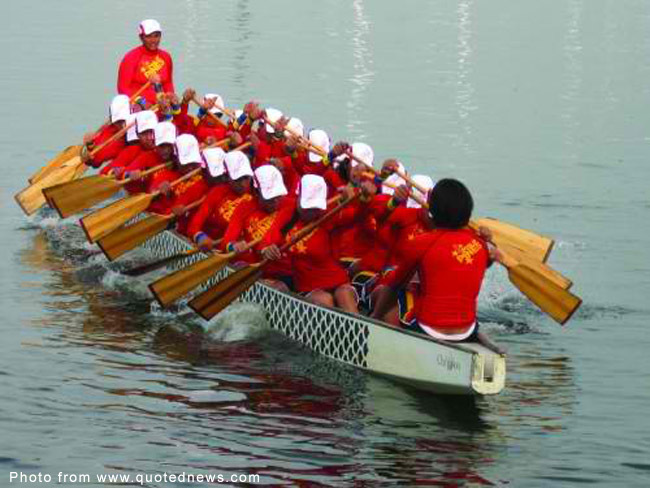 In fairness again to the POC, it was the Dragon Boat Federation that left its fold; not the other way around. However, the POC’s insistence that the PDBF allows itself to be placed under the Canoe/Kayak Federation probably needs a rethink. A POC representative interviewed on television stated that, worldwide, most dragon boat federations are placed under the umbrella of a canoe/kayak federation. The very same representative, however, also said that, as far as he could recall, only Singapore has a separate dragon boat federation in the whole world. That, precisely, is the entire point – if it can work for Singapore, why can it not work for us? At any rate, one of my own personal maxims is “when in doubt, ask.” How difficult can it possibly be for the POC to refer the issue to the International Olympic Committee (IOC)? To be perfectly fair again, the same holds true for the PDBF. As a matter of fact, it could have referred the issue to the IDBF while its team was in competition in Florida. What issue is ever resolved without two conflicting parties – or, in this case, three – agreeing to meet halfway? This is not to say that the country’s sports officials are not capable of putting their feet into their own mouths. On the contrary, one such official has been liberal with interviews in a manner classically referred to as “speaking before thinking.” For instance, there was this insinuation that records of time trials submitted by the PDBF were “too fast.” What – pray tell – is “too fast?” Isn’t being too fast what everyone in any form of racing aspires for? There were also suggestions that some members of the team have become a bit too old. Oh my goodness… If these suggestions were not ill-advised, then I do not know what they were. An athlete’s age becomes relevant only when performance drops because of it. If five gold medals in a world event do not show peak performance, then I do not know what will. Both the POC and the PSC finds themselves now the center of unwanted attention regarding the PDBF issue. They are now being publicly accused of the sort of politicking that is so deplorable in sports but which everyone knows is there, anyway. Basically, however, where I feel both organizations might have erred was in their public relations. 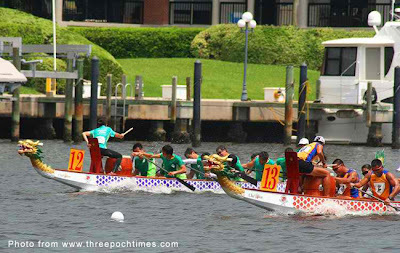 The statements I have cited in this article, for instance, were simply fodder for news reporters eager to capitalize on the dragon boat team’s meteoric rise in popularity. Truth be told, the POC may gracefully sidestep the issue because dragon boat racing is not – yet, anyway – an Olympic Sport. For the PSC, however – and the matter of funding National Sports Associations – any criticism hurled against it may even be considered unfair because its hands are tied by law. In the end, though, the PDBF – by virtue of its exploits in Florida – now has the sympathy of the public. It also has the sympathy of government although, in terms of financing, the PDBF may yet find that this is less significant than the interest of the public and sponsorships from the private sector. All they ever need to do is to take a look at the Philippine National Football Team, which has grabbed with both hands all the opportunities that came as a natural consequence of its successes on the playing field. I doubt that the PDBF will be begging for funds with which to buy the team’s airplane tickets for next year’s world championships in Hungary.